Probably no aspect of our lives is untouched by internet. For instance, even medicines, especially herbal and non-prescription formula can be bought online. If you are one of internet devotees and suffering from constant sinus congestion, browse through the companies’ websites and then dig the websites of institutes offering reliable and scientific information like the U.S. Food and Drug Administration (FDA) to make a right choice. In 2011, FDA sent a warning letter to Beneficial Solutions, LLC that operates www.nutrasilver.com. While reviewing the website, the agency observed that NutraSilver is being marketed as a drug. The website claimed that NutraSilver® treats sinus congestion and infection. However, the drug is misbranded according to the Federal Food, Drug, and Cosmetic Act (the Act). Get the full document. In 2010, FDA wrote a warning letter to Harmony Cone, as the company is selling its Harmony Cone ear candles without the necessary approval, a violation of the Act. The Center for Devices and Radiological Health’s (CDRH) Office of Compliance (OC) reviewed www.harmonycone.com. During review, the OC found out that the candles are promoted to treat sinus infections and congestion, headaches, vertigo, cold, swollen glands and flu. The candles are adulterated and misbranded in the absence of marketing approvals and clearance required as per the U.S. laws. Read the full letter. In 2008, FDA reviewed website of Aerosol Science Laboratories, Inc., www.aslrx.com. The agency observed that the website features misleading and false information about its compounded aerosolized drugs used in Sinus Science Aerosol Medication Delivery System. 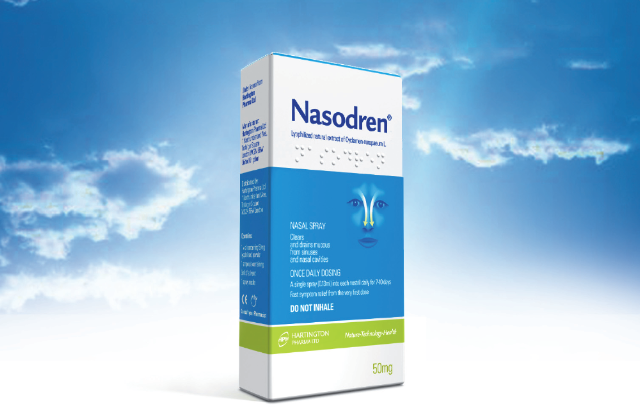 The website claimed that the aerosolized therapy helps in improving symptoms of allergic rhinitis and chronic sinusitis. This misbranding is a violation of the Act, as the company did not take necessary approval for marketing the system. Read the full warning letter. In 2006, the Department of Health and Human Services, Minneapolis District Office Central Region reviewed http://www.internatural-alterriativehealth.com, the website of InterNatural. The department found out that the company is promoting “Rainforest Remedies’ Cold Season” as a drug, which is a violation of the Act. The department observed that Rainforest Remedies’ Cold Season is promoted as a treatment for symptoms of sinus congestion, sore throats, minor infections, colds and flu. Read the complete document. So, next time, ensure that a quick constant sinus congestion remedy from online may not further your troubles. Choose safe and proven therapies.